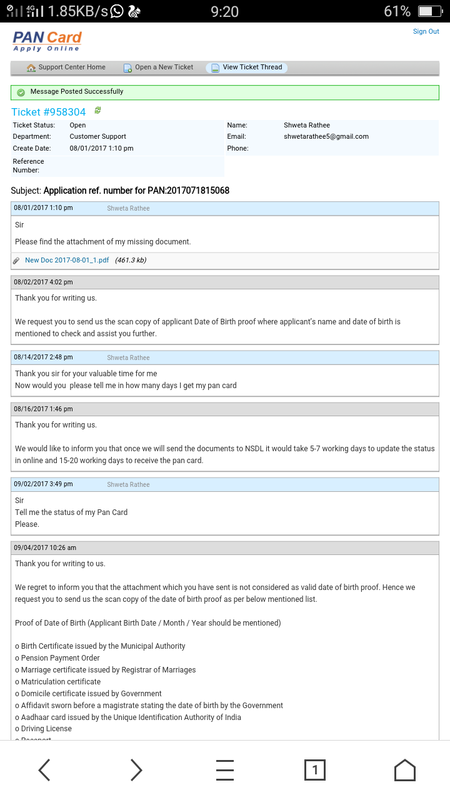 Good evening Sir My name is shweta Rathee from Rohtak 3 months ago I applied a pan card for my future use I gave him all things what they want(charges ,aadhar date of birth etc ) But they make me fool day by day. 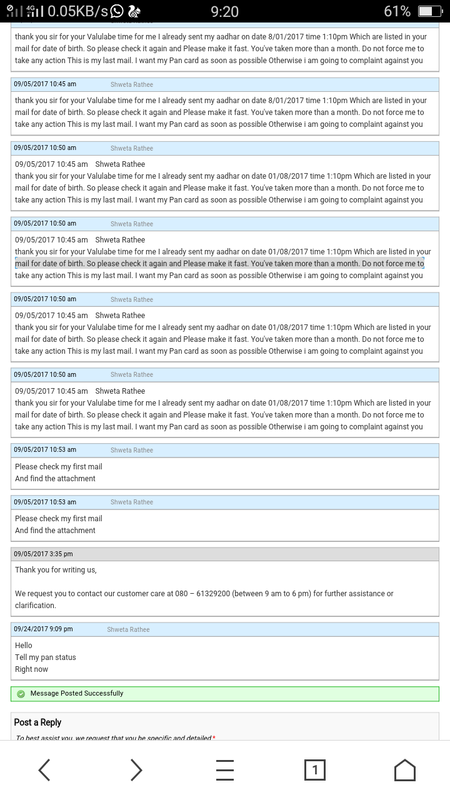 So I exhausted Please help me Take a strict action against him http://support.applypanonline.com I called 3 times in month but the coustomer service said some document missing Now what should i Do Please help me . Address is PAN Services Applypanonline.com 57/28, First Floor, IV Main Road, C.I.T. Nagar, Chennai – 600035.